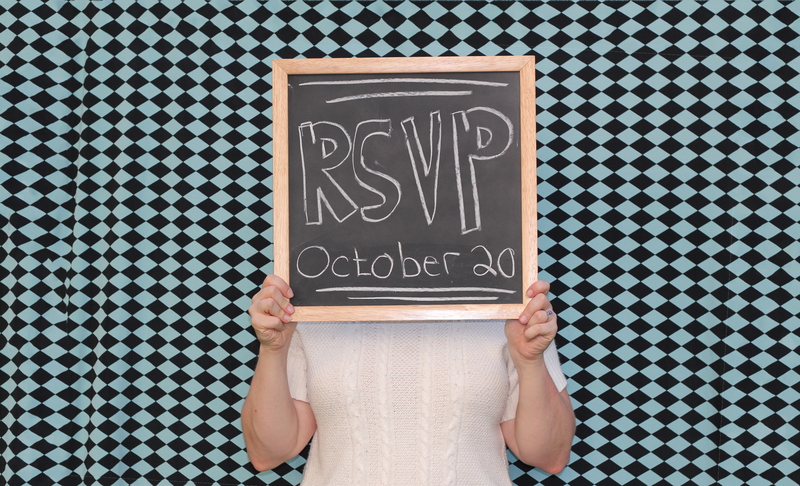 In addition to our RSVP postcards, we offered our guests an online RSVP option. I had read on a few wedding advice sites that online RSVPs aren’t a good idea. Your e-mail address (small text box). in case we need to send last minute updates! 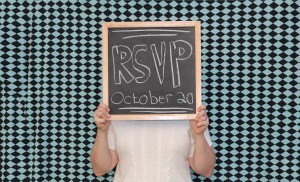 Out of the 44 RSVPs we received thus far (for a total of 122 people, or 42% of all the people that we’ve invited), 20 of those RSVPs were submitted online! That’s 45%. I think that’s a damn good online RSVP rate. And it’s not demographically predictable. We’ve had folks in their 60s RSVP online and folks in their 20s mail in their RSVP. As an added bonus, we also use the RSVP form ourselves. When we receive an RSVP in the mail, we enter the information right away into the online form. Then we just have one spreadsheet to track all the RSVPs! And, I’d just like to point out that Ken has taken the lead on tracking the RSVPs and is doing a great job. I’m so lucky to have an involved groom!